Reinvest in IPM at every level—to make sure the best science-based information is developed and available to all Californians. Drive the demand for IPM in the value chain—to increase awareness of IPM and to create incentives for more IPM throughout the value chain. 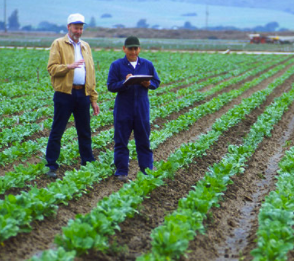 Speed up the IPM innovation process—to ensure a wide variety of tools are available. Increase the collaborative and problem—solving capacity of stakeholders, practitioners, policymakers, and the public—to maximize our collective resources, especially to problem solve when a crisis occurs. Strengthen the public’s capacity to understand pests, pesticides, and IPM—so that scientific information and regulatory approaches are more readily understood, accepted, and supported. Make IPM practitioners more effective voices for IPM—so that they, as front line professionals, can answer questions about pests and pesticide use that arise in their community. Leverage nontraditional resources for IPM—to increase collaborations and resources that support the power of partnerships in tackling complex issues related to pest management. Strengthen capacity of practitioners to use more IPM—to more effectively reach out to the public who is concerned about health and safety. Redesign the retail IPM process—to educate consumers about the responsible use of pesticides and/or limit the availability of high risk products in the marketplace to trained and licensed professionals.